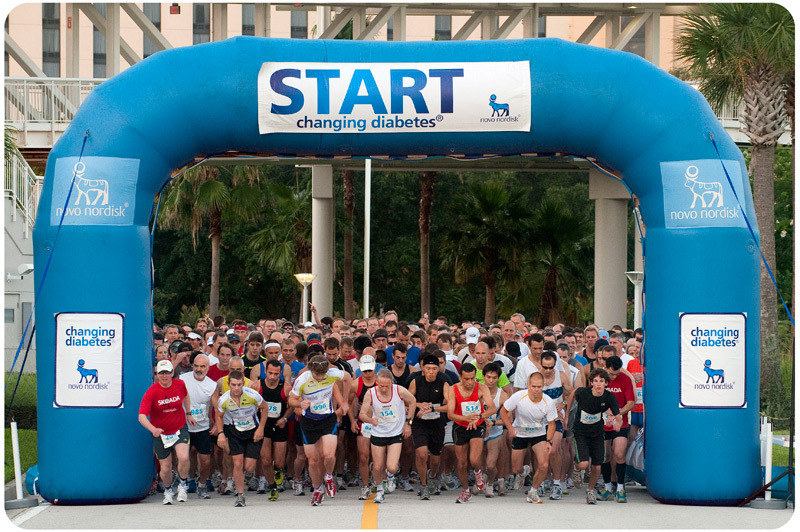 Thank you for joining us in Orlando, Florida for the 5K@ADA on Sunday, June 27, 2010! Through Novo Nordisk's continued support of the American Diabetes Association, the 5K@ADA in Philadelphia was free of charge to registered 70th Scientific Sessions attendees. As a fun event that encourages healthy exercise, 738 people completed the 5K@ADA next to the Orange County Convention Center.